As long as you get back to typing practice quickly, a little break won't do you any harm. We expect that you will work hard as you learn how to type but you also need to have good posture and learn to take breaks. So here's a nice calming video for you to relax with. Time Lapse Flowers opening while listening to Relaxing Music. 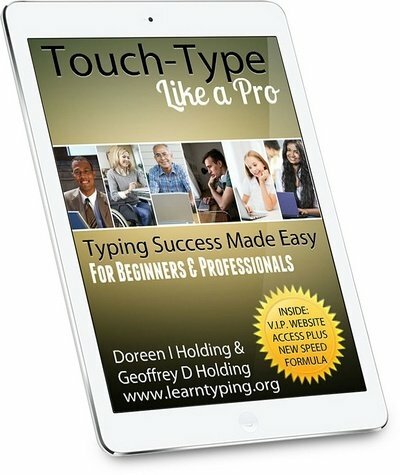 I (the webmaster of this site) learned to touch type in a week using all the letters (but not numbers) because I made a commitment to practice, practice, practice. All my spare time for a whole week was dedicated to typing. I confess, I did over do it a bit and had a sore neck from bad posture but I didn't know much about posture then. So work hard but don't repeat my mistake. Since that week, I have not looked back and it is soooooooo good being able to touch type now without looking at the keyboard. It's quicker, easier and less stressful. You won't believe all the amazing things this little bird can do!